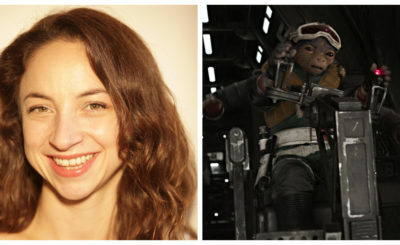 Beau Gadson (left) and Dolly Gadson (right) in Rogue One: Star Wars Story. 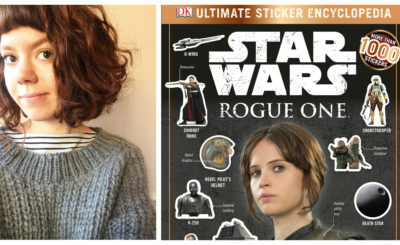 Sister Beau and Dolly Gadsdon played young Jyn Erso and younger Jyn Erso in Rogue One: A Star Wars Story. Beau’s young Jyn is the Jyn we see at the beginning of Rogue One while Dolly’s younger Jyn is seen later on in the film via a flashback. 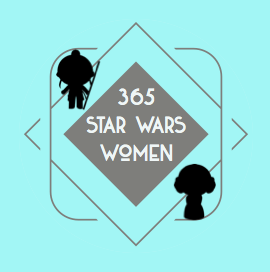 Here’s young Jyn hiding from Imperials. 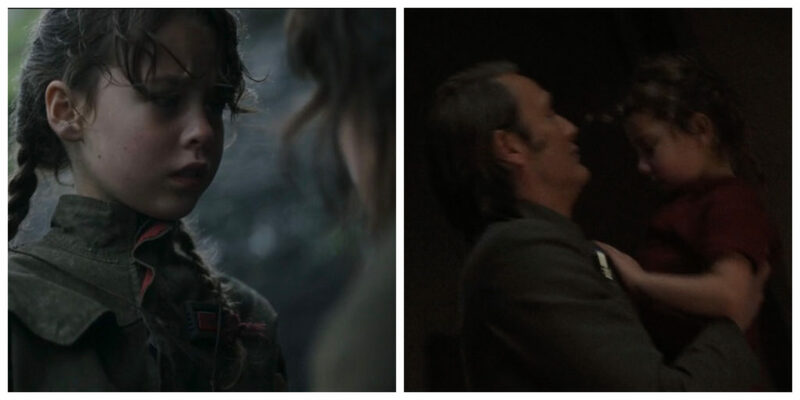 And younger Jyn looking in the direction of her parents Galen and Lyra Erso in a flashback scene during the time Galen was working with Orson Krennic. Beau Gadson also played a young Princess Margaret in three episodes of the TV series The Crown. Dolly Gadson has not appeared in any other TV show or film at this time.